I made some of these last weekend, others I had made and just strung onto string. More beads to sell at the bead show. 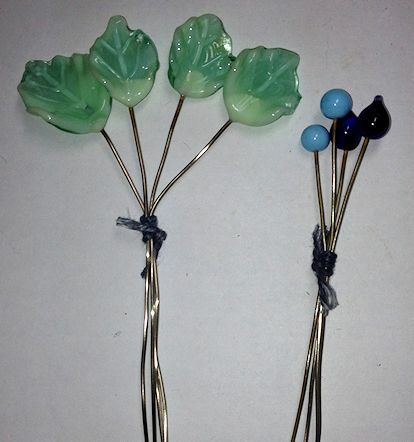 Well, not exactly beads but more head pins. I still have a bunch of wires cut to make more too. 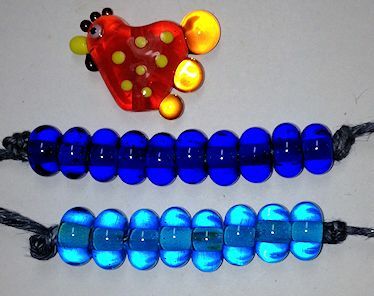 A lone chicken and some spacer beads…..let’s move along…. 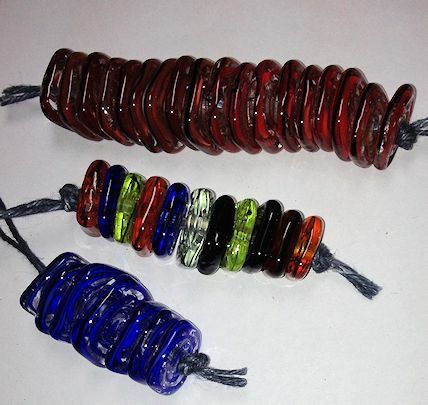 Square disc beads. I like making these and they make stunning necklaces. I need to make more in different colors. 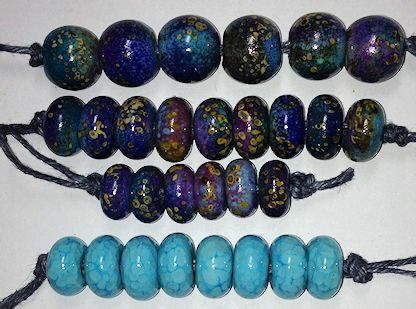 These are some beads I made a while ago and was planning on using them in a necklace but never finished making all I needed. Figure I can just make more. These have enamel and frit on them. 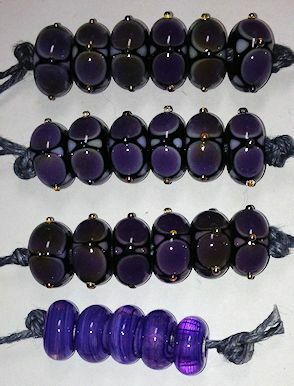 Purple dot beads. The top two rows I used a lighter lavender under the top dots and they look more purple than the beads in the third row. I used a darker purple for those. The bottom row is more veiled cane spacers.